Mario Kart 8 is the newest (and 8th if you couldn’t guess, minus the Arcade versions) installment of the Mario Kart series. It brings quite a bit of new stuff while still retaining many old features. While the courses are fun to race on, I feel that’s the main thing the game has going for it. The game sadly brings back several things I’m not too fond of which kind of ruins the enjoyment, despite the creativity of most of the tracks. I will start by saying if you’re expecting to hear tons of good things about the game, this may not be the review for you as I’ll be offering a bit of a different point of view. 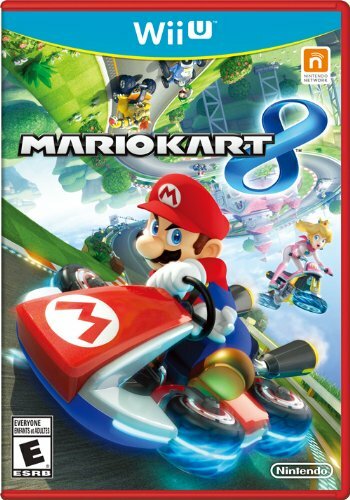 That said, if you enjoy the Mario Kart Series, you should still enjoy this one and the graphics are lovely, if you care about that kind of stuff. 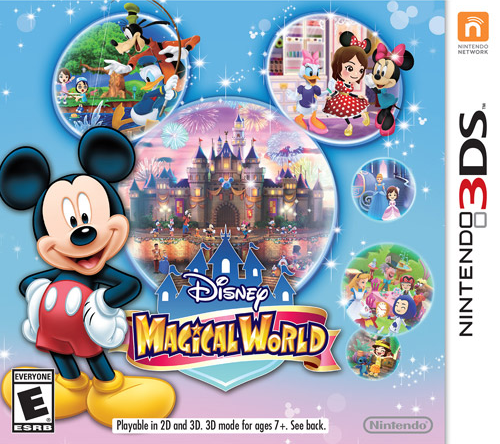 Disney Magical World is a Simulation Adventure game for the 3DS based off a Japanese-only Web game. This game has many different activities you can do while being in a world with many of your favorite Disney characters. It is often referred to as similar to Animal Crossing, but other than customization/collecting and being in real time, I’d say it’s closer to Fantasy Life or Harvest Moon/Rune Factory. However, if you do enjoy Animal Crossing and/or Harvest Moon (or Disney in general), I do think the game is worth looking at. The game isn’t perfect, but its good outshines the flaws and it has a lot more layers and difficulty than you’d expect. 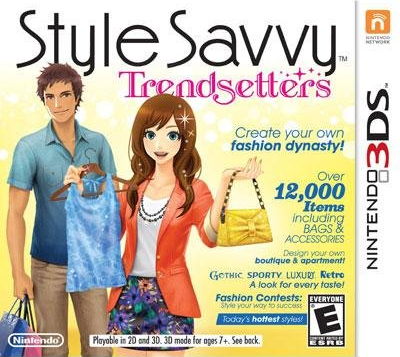 Style Savvy: Trendsetters is the sequel to Style Savvy for the DS and while the story isn’t much different, it does have a lot of advancements from it’s predecessor. Of course, it does have it’s flaws as well and some changes weren’t always for the better. The game involves your character getting ownership of a fashion store and slowly making it your own while also helping your customers find exactly what they are looking for. Plus, having some fun with customizing your own character. Despite being relatively simple, the game is also rather addictive. My past exposure to the Fire Emblem series has been rather brief. This should be unsurprising for a game series that rarely comes over to North America. I am, of course, somewhat familiar with the characters that have made an appearance in the Smash series as well as having played one previous game in the Fire Emblem series. I’m also not much of a fan when it comes to Tactics RPGs and, in fact, my taste for turn-based RPGs in general has waned over the years as I have grown tired of level-grinding. 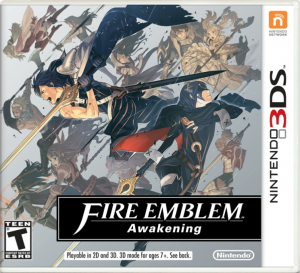 So, I was not particularly looking forward to Fire Emblem Awakening on the 3DS. Pokemon Mystery Dungeon is one of my personal favorite spin-off games for Pokemon and thus, I never miss a chance to pick one up. 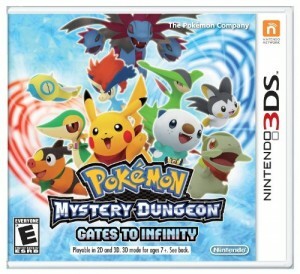 Pokemon Mystery Dungeon: Gates to Infinity happens to be the 3rd (4th if you count the Japan-only WiiWare games–please be aware this review will only be focusing on the handheld games) game in the series and also the first to be on the 3DS. As usual, the game starts off with a human becoming a Pokemon. But while some stuff remains the same, the game brings a lot of changes and unfortunately, not all of them were for the best. StreetPass is one of the biggest features of the 3DS, although, not the most heavily advertised (That goes to the actual 3D feature, unsurprisingly). It is the successor to Tag Mode and, honestly, does a much better job of what Tag Mode’s purpose was. The issue with Tag Mode is the fact that it could only trigger if you had that mode up in the specific game which caused finding people to be much more of a shot in the dark due to the fact that even if the person was playing that game if they didn’t specifically have Tag Mode on, it wouldn’t matter. StreetPass manages to fix most of those issues along with making things a bit more fun/personal as well. 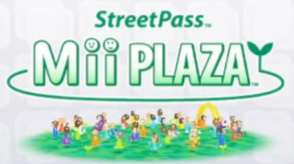 However, most people still do not understand what StreetPass is, how it works, or even how to set it up. And as my personal favorite feature about the 3DS, I have quite a lot to say about it. 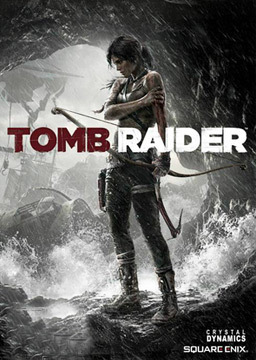 Tomb Raider is an excessively well known franchise possessing a total of 11 games, 2 movies, 3 novels, a series of comic books, a 10-Episode Animated series, and an amusement park ride (formally four). While more recent entries in the game series and overall franchise have been met with mixed critical reception, the first two games in the series are best remembered for pioneering the Action-Adventure genre. 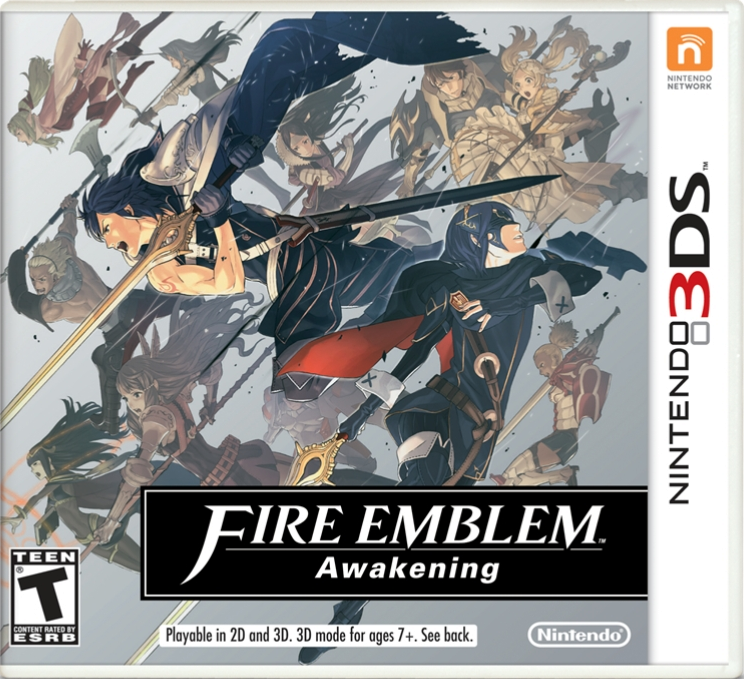 I, like many people, know of the series more through its pop-culture prevalence over active participation in the franchise. Now, that’s not to say that I haven’t played any Tomb Raider games. In addition to a handful of demos, I vaguely remember playing one of the original Core Design-developed titles and one of the lesser Crystal Dynamics-developed games. The fact that the Crystal Dynamics demo and game that I played had rather unfriendly controls and were overall mediocre is rather disappointing. I personally love the Action-Adventure genre and would probably rate it as my favorite overall, and I find the ideas of both the games’ Indiana Jones-esque setting and strong female protagonist very appealing. Due to this I was quite interested, despite some of Crystal Dynamics’ previous work, in their upcoming re-imagining of the Tomb Raider series. All the way up to the March 5th, 2013 release date I followed information on the games’ development and even got to try a demo of the game at New York Comic Con 2012. Having been impressed with the demo and the apparent amount of work that the Crystal Dynamics’ development team was putting into the game, I acquired it upon release. Animal Crossing: New Leaf is the upcoming title for the 3DS. Called Animal Crossing: Jump Out in Japan (Well, technically called “Tobidasi Dōbutsu no Mori” which means Animal Forest: Jump Out), the game released there on November 8th and will be out in South Korea on February 7th. When is it coming out in the US and Europe, you ask? 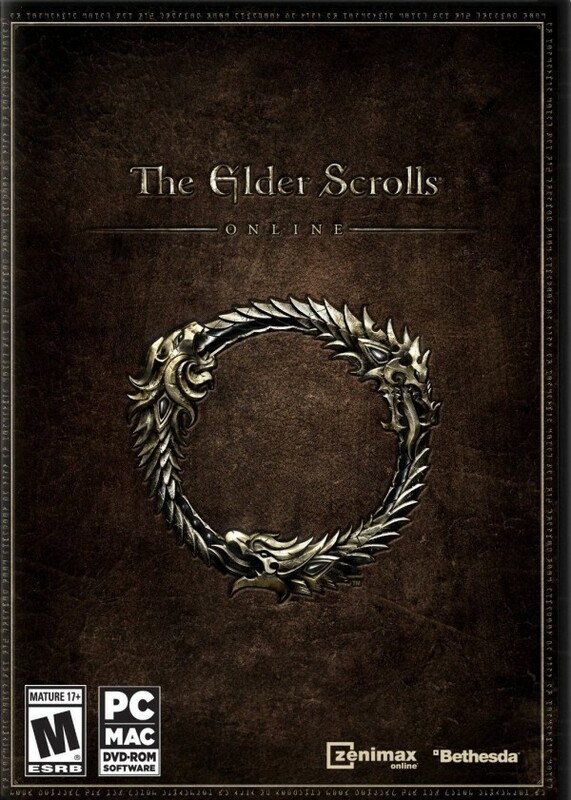 Well, on February 14th, it was finally revealed to be June 9th for the US and June 14th for Europe. 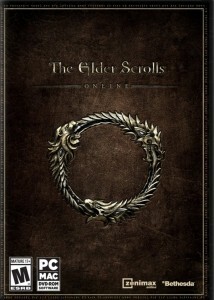 For those in Australia, it was later announced it will be released there on June 15th. Harvest Moon: A New Beginning is the first Harvest Moon game made for the 3DS. While Tale of Two Towns was on the 3DS as well, that was a port rather than being made for it. 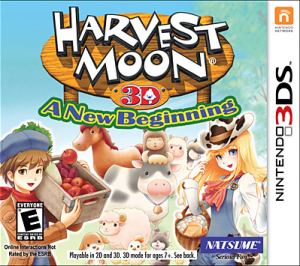 Like most Harvest Moon games, the general idea of it is to make your farm into something awesome while also falling in love and having a family. The gimmick this time around is you’re also rebuilding the town…literally. When you first start the game, you will only have 4 buildings in the village area. The Animal Dealer (who is out of town), the General Store (where you’ll be buying most things you need for everyday farming), an empty house, and Dunhill’s house. Dunhill is essentially the mayor of the game and will give you 90% of the tutorials you will be going through. In fact, about the first 25-27 days is nothing but learning the ropes.